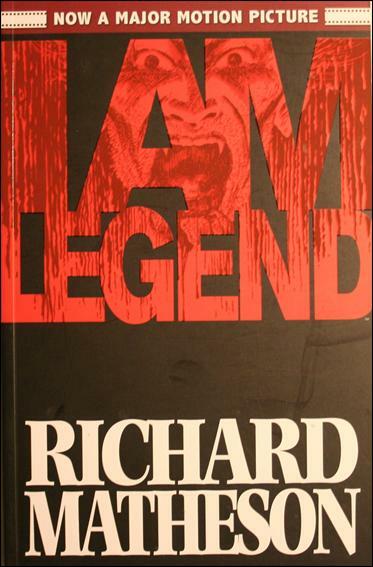 The graphic novel version of Richard Matheson's I Am Legend borrows heavily from the original novel and follows the plot practically scene for scene. 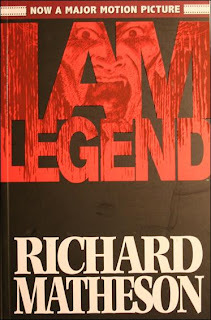 It's a little wordier than your average graphic novel, but that's understandable considering there isn't a lot of conversation, and most of the story is told by a third person narrator. The text sounded to me like a dumbed-down version of the book, although I discovered rather to my surprise that apparently most of it is taken word for word from the novel. It sounds like they only took the most obvious sentences though: 'Robert Neville is inside the house. The zombies are outside moaning for him to come out.' (Okay, this is my interpretation and not a direct quote, but seriously the narration was just like that). What's particularly disappointing about the graphic novel is that the images, which I think have a responsibility to add to the drama and read between the lines of the text, do nothing of the sort. If the text says, 'Robert Neville drinks a whole bottle of whiskey', the image shows him actually drinking a bottle of whiskey. Come on. The best graphic novels, like the best children's books, have illustrations that add a new dimension to the story using layers and sub-text, but there's no attempt to do that here. There's nothing slick or sophisticated in the illustrations, and Ruth, the only other seemingly proper human being apart from the protagonist, is drawn very differently in different scenes. The first time they meet she's quite attractive, but when they meet a second time, she looks like a completely different person with a bulging forehead and bloated face, and there's no reasonable explanation for this fact. Did she suddenly contract down syndrome? I think the only people who would really enjoy this are the ones who can't be bothered to read the original novel and want the story told in a simple format or young teenage boys. Actually scratch that last one, I think I may not be giving young teenage guys enough credit.